Just like any new experience or opportunity, there are many assumptions and falsehoods created about studying abroad. With accurate facts, students can make educated decisions about studying abroad. It depends on the program and on the location. But it’s not unusual to find options that are actually less than staying on campus. Between the College of Engineering and the University of Illinois campus study abroad office, there are more than 400 study abroad programs that range in costs. Some programs are very comparable to studying at Illinois. Some programs are more expensive and some are less. There are a variety of ways to pay for studying abroad, including scholarships, financial aid, and loans. By planning ahead, you can speak to your family about your financial restrictions, as well as save for your time abroad. Refer to the Budget Sheet in the program application for a detailed list of fees associated with each program. Yes! The programs we list are approved by the University, which allows most financial aid to apply to study abroad. You can also check out scholarships set up specifically for studying abroad. What if I don’t know a second language? It’s not necessary! Some programs do have a language requirement, but many don’t. While some programs do have a language requirement, many programs are taught exclusively in English. Some of these programs are located in countries where English is an official language (ex: Australia, Hong Kong, Ireland, Singapore, and the United Kingdom) and some are hosted in countries where English is a secondary language (ex: Denmark, Japan, Korea, Sweden, Switzerland). You can find the language of instruction on the program application page. Do I take courses for my major? Yes, you can earn credit toward your major while abroad. The specifics will depend on the program. Many students are able to earn credit toward their major while studying abroad. With a large variety of programs, there may be one or several programs that provide courses that fulfill requirements in a specific major or curriculum. If you have questions, please speak with the Chief Advisor (Study Abroad Advisor) in your department and an IPENG Advisor. Can I graduate on time? Yes! Studying abroad and graduating in four years is definitely possible, even if you are gone for an entire academic year. You earn credit toward graduation requirements for most courses taken abroad. It is important to frequently consult and meet with your academic advisor so you stay on schedule and don’t overlook anything. Is it safer to stay in the States? Most risks faced by students around the world are similar to those in Champaign-Urbana or Chicago, which mostly result from living in an urban environment. 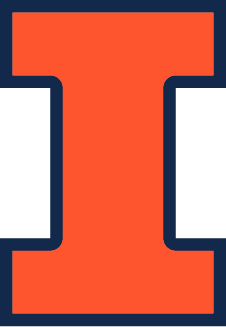 The University of Illinois closely monitors our programs and current worldwide news and events. All programs and cities are thoroughly researched before students are permitted to apply. Can studying abroad help my career? Engineering is global! Employers look to hire well-rounded employees who are able to demonstrate the ability to adapt well to new situations and thrive in multi-cultural environments. Businesses are increasingly international and utilizing skills gained from a study abroad experience will give you, as a potential employee, an advantage that others lack. How many Illinois engineering students actually study abroad? More than 27% of engineering students study abroad each year. The College of Engineering is very supportive of studying abroad, and some programs offer opportunities specific to their academic disciplines. Is it difficult to be accepted? Most Illinois engineering students who meet the minimum qualifications and complete the application process are accepted to study abroad. The University of Illinois is looking to increase the number of students studying abroad and will work closely with you to find the program that best meets your needs and qualifications. Student visas are a big question for students planning study abroad, though not all students need one. Generally, if you come from outside of your chosen country’s geographical region/continent, you will probably need to apply for a student visa. This typically applies to longer periods of international study; if you’re participating in a shorter exchange (three months or less) a tourist or visitor visa may suffice. To find out for sure, check either with your chosen university or the Consulate or Embassy for your country of study.